When looking out of their office windows on a particularly grey day, the architects at the Zalewski Architecture Group in Gliwice, Poland decided that they would add some greenery to their rather dull view of the courtyard. 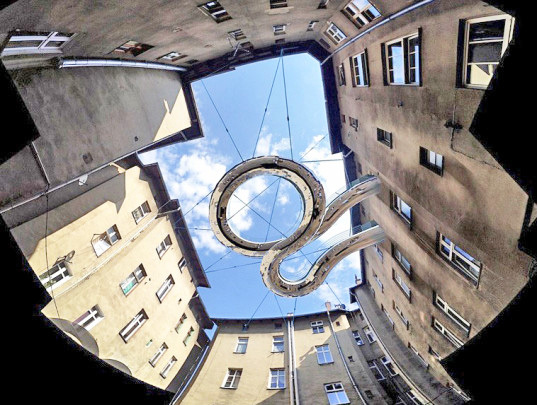 The resulting Walk-On Balcony furls out of the third floor office, suspended and supported by a series of cables. 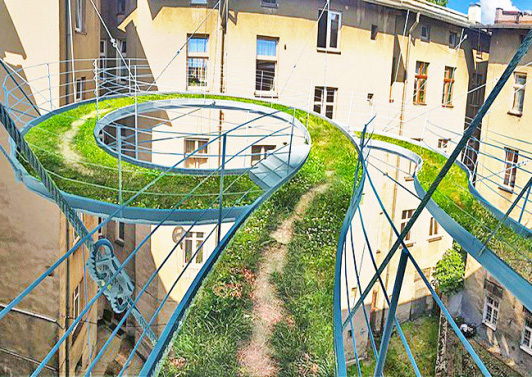 Given you’re not afraid of heights, the pathway “allows for a relaxing walk ‘from office to office'” and adds some whimsical fun to the courtyard, as described by the designers. Wouldn’t it be great to have something like that for your own dull office too?